If you’ve ever grown your own food, you know fruits and vegetables don’t always turn out picture-perfect. Unfortunately, the developed world’s fixation on beautiful fruit means mass amounts of “ugly” and blemished produce are regularly thrown away. In a bid to fight the food waste problem, the UK grocery chain ASDA teamed up with American toy company Hasbro to create a misshapen Wonky Mr. Potato Head toy to show that imperfect fruits and vegetables are just as a good picture-perfect produce. ASDA teamed up with American toy company Hasbro to create a misshapen Wonky Mr. 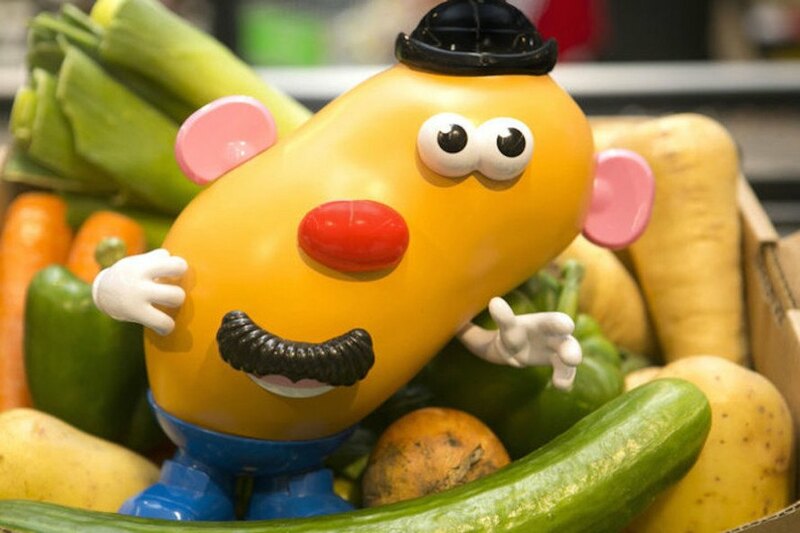 Potato Head toy to show that imperfect fruits and vegetables are just as a good picture-perfect produce.